Amy's Creative Pursuits: You Deserve it All! Hello! 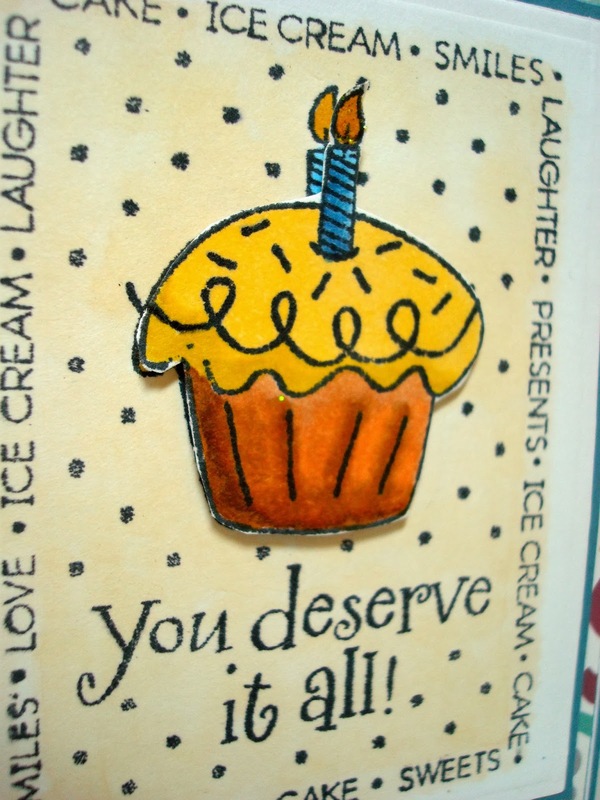 I have a birthday card to share with you today. I was going for a 'masculine' look, as this card was originally intended for a man, but I don't think it turned out too masculine; it's just too playful. Oh well, I'm sure it will come in handy for another person's birthday someday. To make the card I used a Sweet Sunday Sketch (169). The image is from Hero Arts and is called 'You Deserve Card'. 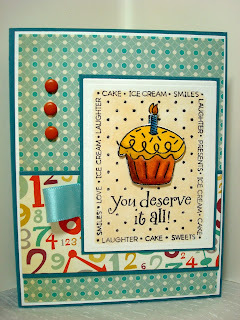 I stamped the image twice, colored in the background, and cut out and popped up on dimensionals the cupcake. The paper is from Cosmo Cricket 'Joy Ride'. Ribbon and brads were my only embellishment. Here's a close up so you can see the dimension better. I put Stickles on the candle flame. This was a fairly quick and easy card because the sentiment is right in the image. I love it when I don't have to figure out where to put the sentiment. 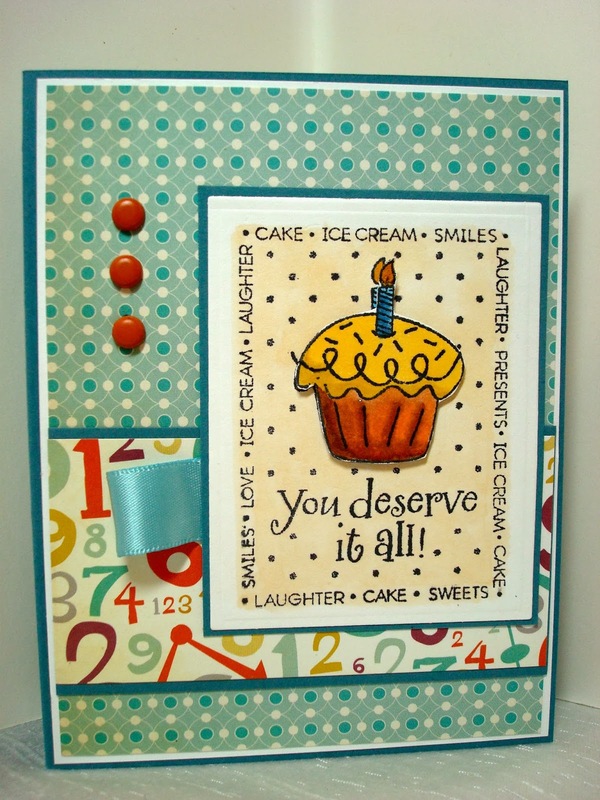 This card is superb, fun and yummy ! Thanks for the nice comment about my pinterest inspired post. Love spending a lot of time there too! Fabulous card Amy with a fun image and wonderful papers! This is really cute!! Fun papers and image! Such a cute card, Amy!